Me: Sebastian, can I use this picture of you for All-Day Breakfast? Baz: No. I don’t want anyone to see my face. You have too many pictures of me on there already. Me: Seriously? 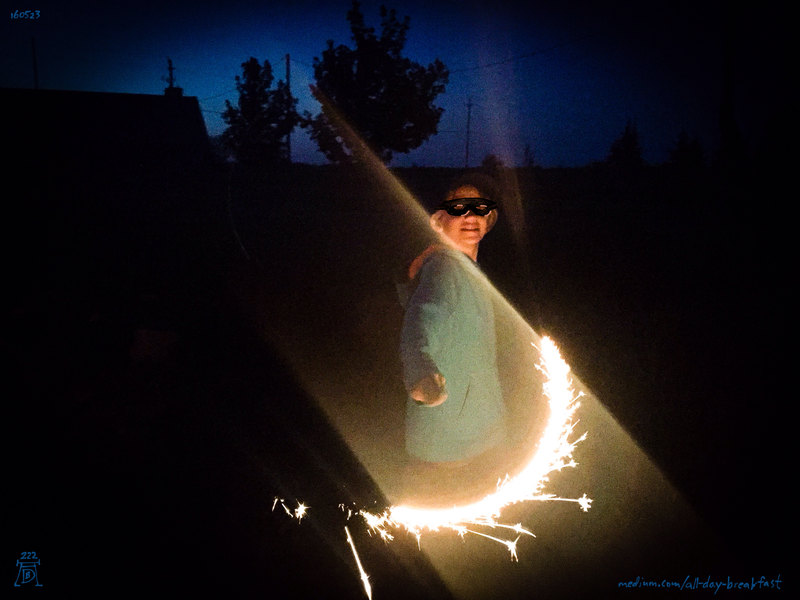 But it’s such a cool picture of you spinning a sparkler. Baz: Hmmm. That looks sorta cool. Me: So can I use it? All-Day Breakfast is a daily reflection on creativity and the human condition in the modern age. This is issue #222 of 555.